What a baptism by fire. This week has definitely been an adventure. I got my new companion last Wednesday who I'll be training! His name is Elder Marquez, he's 20 years old and from Colombia. He has great desires to teach and be a good missionary, and I know that we can accomplish a lot. A little bit about Nogoyá: There are now six missionaries in the city, but it's a small town of about 30,000 people I believe. There is a branch here of about 20 active members, and 250+ inactive members. So we're going to try and do a lot of reactivation here as well. When I first got here it was a little disconcerting, because I was used to Paraná where everyone is always out and about, and there are always people in the streets talking, and buying, and there are stands everywhere, etc. So my first days in Nogoyá it felt like a ghost town haha. Life is a lot more tranquilo here, and people don't go out nearly as much. Because of that, it's a little harder to contact, because there aren't nearly as many people in the streets to talk to. But we'll figure it out. I feel bad for my companion because I'm supposed to be the trainer, but sometimes I feel more lost than him. Definitely a growing experience. Our pension is brand new, and super nice! Everything we've bought (fridge, fans, water dispenser, oven, etc.) is still in boxes because it's all new. So it will be fun to live in a super nice pension. Right now we're still waiting for them to turn the electricity on, so we're staying with Elder Gomez (DL) and his companion/new trainee Elder Mckell, who are just around the corner from us, like literally a 30 second walk. We only have lunch with members once a week here, so we'll probably end up eating together with them a lot. Both of them are super cool, and we all get along really well. It's been fun living with four missionaries. Elder Gomez has 6 months in the mission and is from Buenos Aires, and talks super fast, but he's super funny and friendly and loves talking to people. Elder Mckell is brand new from the MTC, and is from Idaho. I see a lot of myself when I first got to the mission in him, if that makes sense, so it's been good to help him a little as well. Also, I've become the official translator, so that's been fun. I feel super useful doing that, haha, since a lot of times I don't know what I'm doing. So when Elder Gomez is trying to say something to Elder Mckell and he doesn't understand, I translate for him. It's really helped me learn the language a lot better. I also met a super awesome member this week! Well, 2. Hno. and Hna. Arrua are pretty much the two most active members in the branch. They're both returned missionaries, and they're the ones who feed us once a week. They're both about 40, but don't have any kids. Hno. Arrua used to be branch president. He really understands how missionary work works. When he was branch president, he worked super hard. He spent 4 or 5 nights a week visiting less active members, and whole weekends just visiting and serving the members, and got the branch up to an attendance of about 80 or 90 consistently every week. Since then there have been some leadership problems in the stake, and all of the wards and branches in the Paraná stake have suffered. He really wants to help us work and get the branch back where it used to be. He's an almost perfect example of a Christlike missionary. 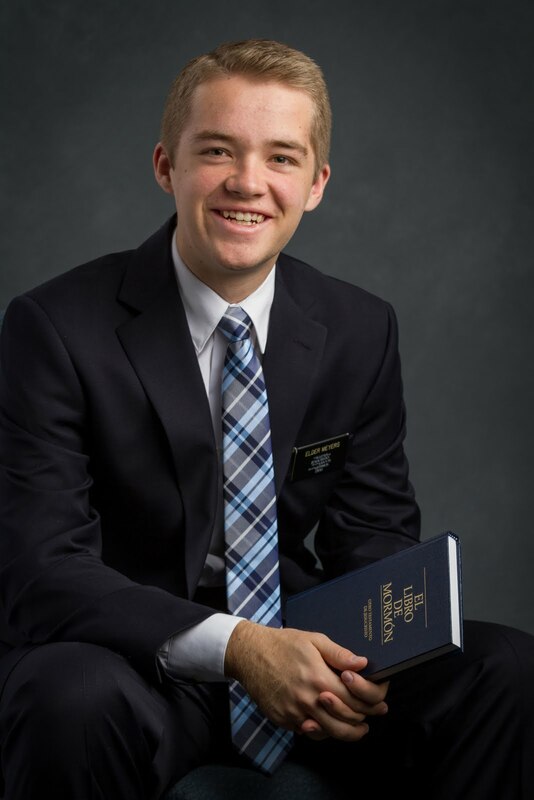 He talked to us about how he would always focus on the good things with his companions and make sure they knew what they were doing well, helping uplift them and want to be better, and as a result, his mission president trusted him a lot, and used him to help strengthen missionaries who were struggling. He really gets charity. And most of all, he said when he finished his mission, he was able to say, I did my very best and there's nothing more I could have done to do the Lord's work. I hope I can be a missionary like him someday. Charity is so key. Like Moroni said, without charity we are nothing. We have to learn how to truly care more about the people around us than for ourselves. Because that's how Christ was, and shouldn't we want to be more like Christ?